If you read my blog often, you'll know I literally never accept PR samples/products, but when Hot Hair offered me the opportunity to review on of their 3/4 wigs I took them up on it. Literally the weekend before I was having a chat to my friend about the state of our limp, lifeless hair and decided we should save up for proper hair extensions. I knew it would set me back hundreds, and I don't know anyone that has had them before to ask for advice so I was a bit nervous. 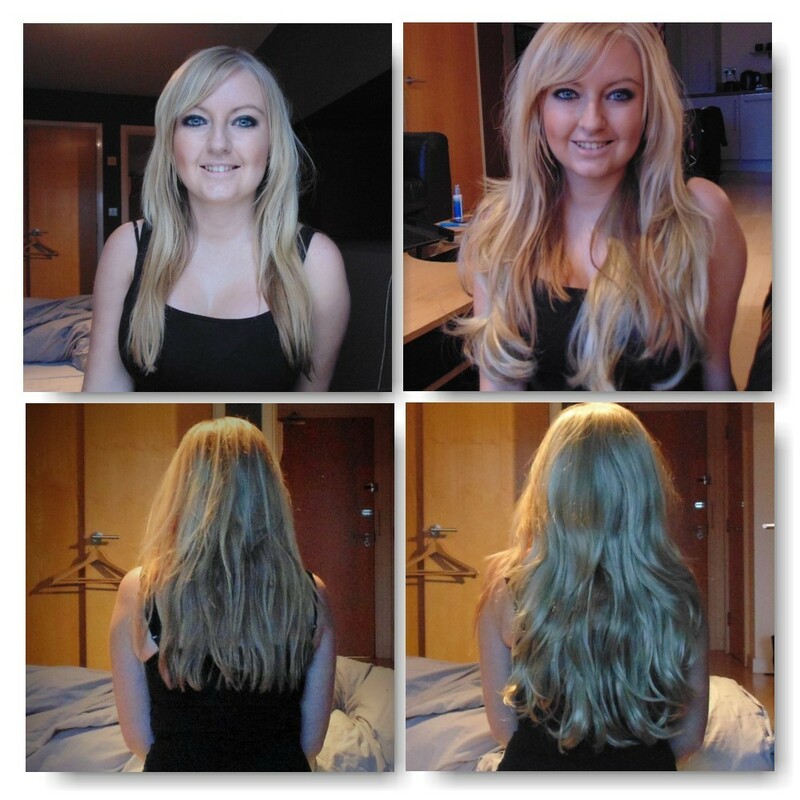 When the Hot Hair offer came up, I decided it would be great to try one of the 3/4 wigs to see whether it could be a good substitute for having the extensions and would save me a lot of money in the long run! After having a browse of their website, I decided to go with the Brianna 3/4 wig. I always worry with any type of hair piece about not getting a great colour match. As I've never dyed my hair or had highlights, it's really light on the top but really really dark underneath from the sun lightening it (guess I should start sunbathing upside-down! I could have sent in a photo for the team to decide which colour would suit me best but I decide to try my best judgement an go for 'Golden Wheat' as shown in the photo below. The wig came in a branded shoe box type box which is so handy for storing it. All the old hair extensions I used to have ended up getting matted in a carrier bag so this is definitely a great idea to keep the wig in good condition. The photos below show the unboxing of the wig. The photos are completely unedited to show you the true colour of the product. This photos show how the wig is attached to your real hair. There's two slide combs at the top and bottom with one clip either side to keep it in place. Testing the colour match. Colour match is the most important thing about buying hair pieces. This photo is completely unedited so you can see how perfect the colour is to my real hair. Anyone that knows me will know I'm awful with my hair. I can just about manage to brush and straighten it, let alone anything fancy but this was so easy to put in! you literally just need to slide the comb down through the crown of your head, clip into place and then backcomb a layer of hair back to cover the join between the wig and your real hair. As this wig is synthetic (not real hair), you can't put any heat on it so I loved that it had so much volume in. My hair is so flat and lacking any oomph at all, this is just what I needed. Due to the wig being synthetic, I did find it quite shiny in comparison to my real hair so it sprayed it with a bit of dry shampoo to dull it down which did the trick! This hair piece is so perfect for a night out, it takes all of a few minutes to put in and instantly looks perfect which I love. I'm going to take it to work when I have evening events so I can have that instant glam in a few minutes without any effort at all! Even though it's more of a short term fix than something to wear all day every day (simply because you can't add heat and style it out) it's definitely a product I would have bought myself for an instant fix.